The first image is the foundation's and wow they really are perfect. 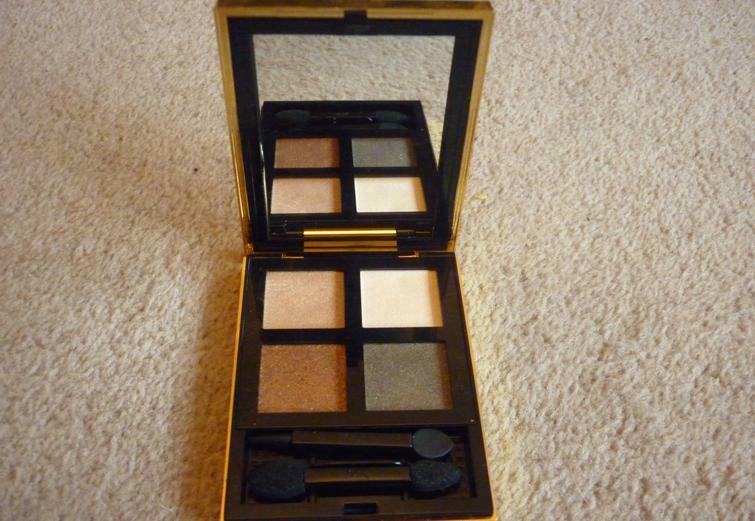 The first one is by Illamasqua - funky and cheerful, this liquid has some added shimmer so its perfect for a night out. I know shimmer and foundation may sound a little confusing but it basically creates a youthful and 'dewy' skin tone - pretty much inspired from a tanned Victoria Secret Angel. It's limited edition so it makes me feel special ;) The next one is by Lancome and it's definitely my favourite, its perfect for day or night and provides perfect creamy coverage. Plus it smells gorgeous too! 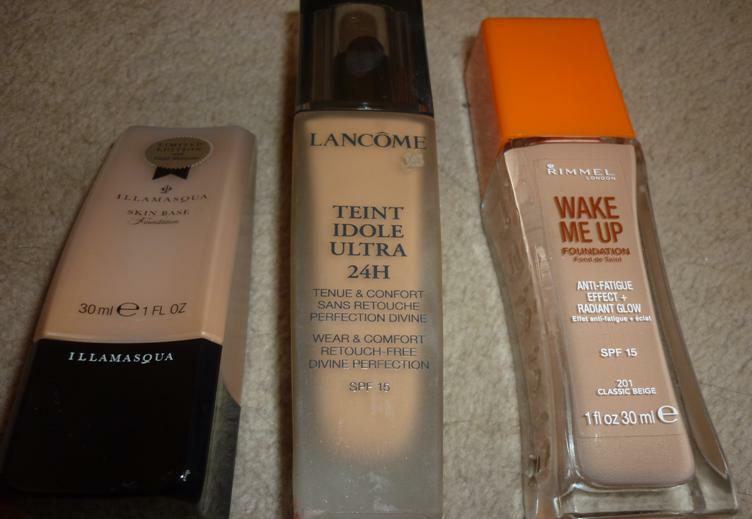 The Rimmel Wake Me Up foundation is lovely but I find it too shiny - the Illamasqua one creates a shimmery shine so it blends well with everything, but I find unless you have powder with you non stop, the Rimmel liquid can make you look very greasy :( Next are the nail varnishes - you already know what one is my favourite. 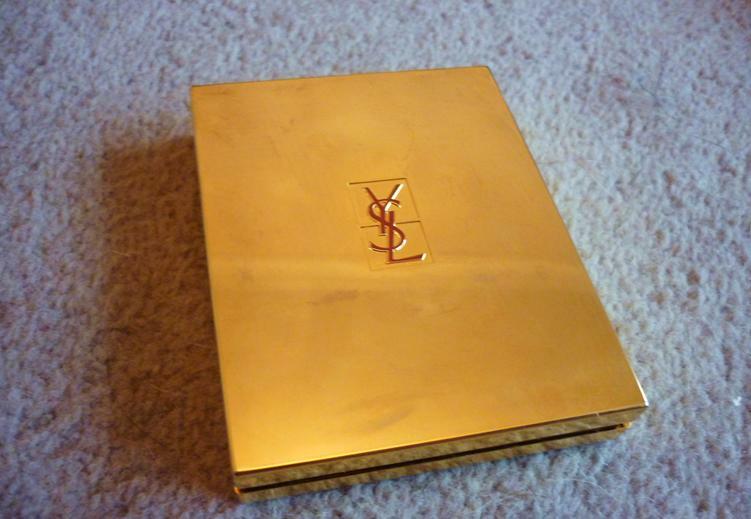 Nothing like a little bit of Yves Saint Laurent to spice up your make-up bag. 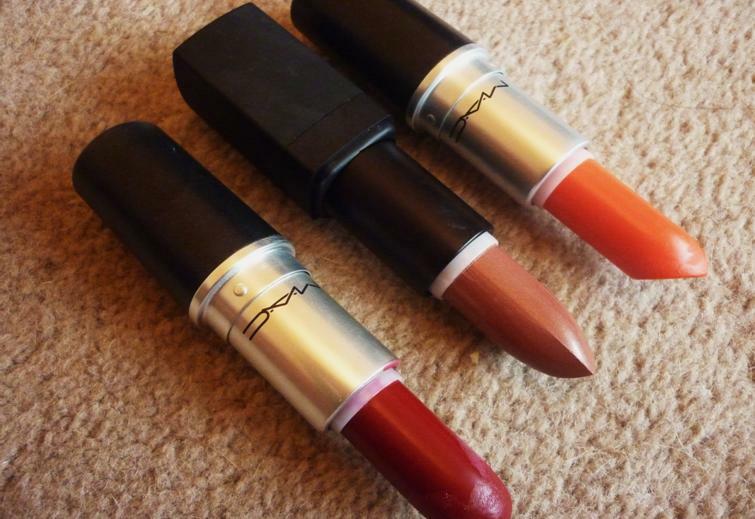 All three shades are gorgeous and I personally prefer matte shades without any shimmer to them. 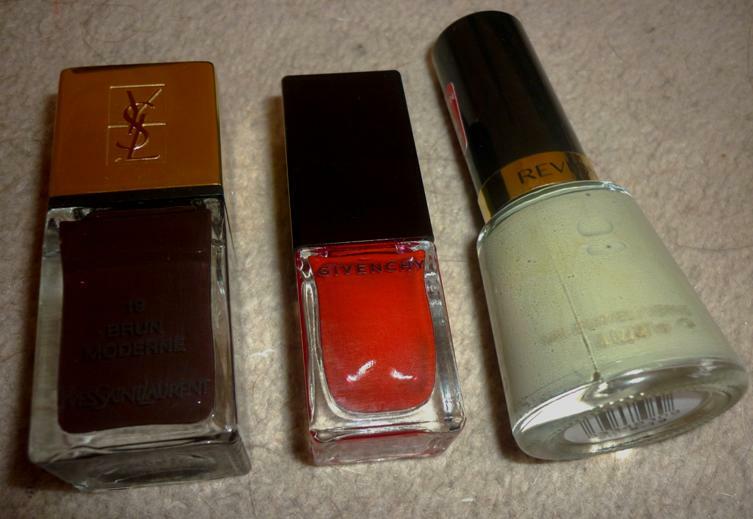 The lipsticks are my favourite type of cosmetic - I am constantly looking for the perfect type of colour and texture and I think these three really hit the mark. The first MAC lipstick is called Runway Red - out of all the red lipsticks I have had - this ones comes close to a perfect 10. It has a satin finish to it and has a blue undertone, it's taken me a while to find out I suit blue hinted reds. going healthy is so difficult specially when everyone around you is eating junk food! lol... i get what you're going through! I know :( I blame friends...especially when they eat non stop, never exercise and are all size 6...sigh. The Revlon color is amazing.